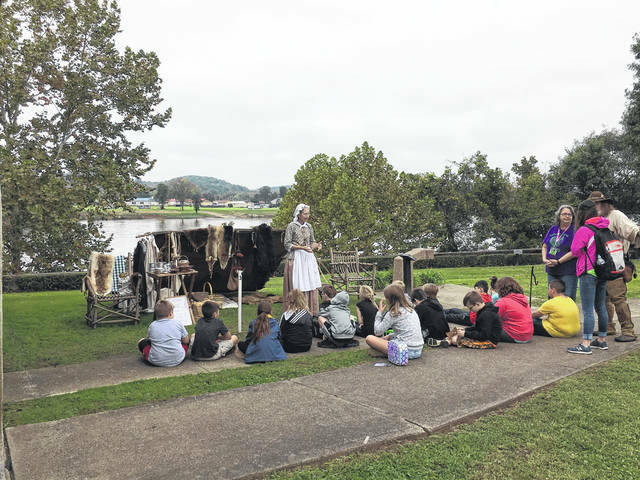 Students learning about life in the 1700’s. The students being taught how to drill while learning about musketry. Students were able to make their own beaded items to take home with them. Students observing items different Native American tribes would have made in the 18th century. 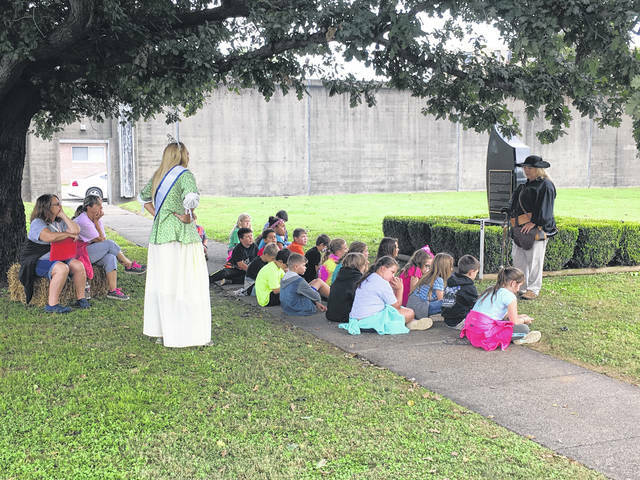 The students learning about the militia. While drums were play, the students dance a Kootaga Indian dance. 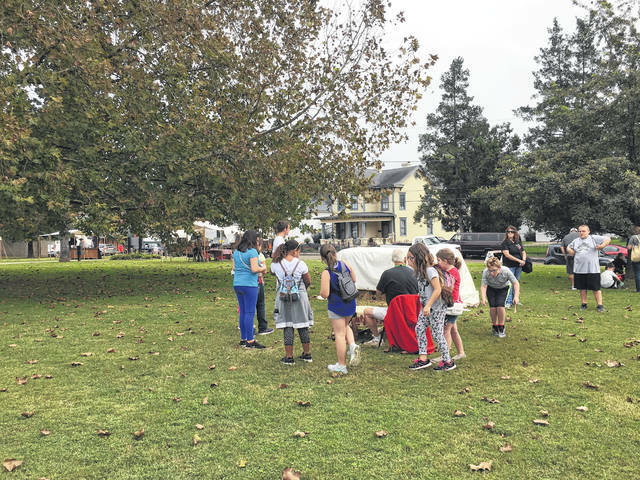 Students learn how various items of the 18th century were made. Students go inside and explore the Mansion House Museum. Students observe steel work being done. Students sing along with the dulcimers group while they performed. 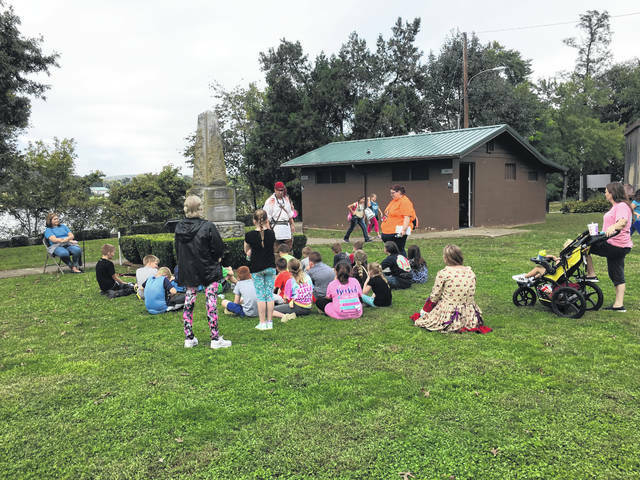 Students listening and learning about Chief Cornstalk’s life. Students listening and learning about Ann Bailey’s life. A student participating in the Kootaga Indian dance. Battle Days royalty enjoying their time playing colonial games. 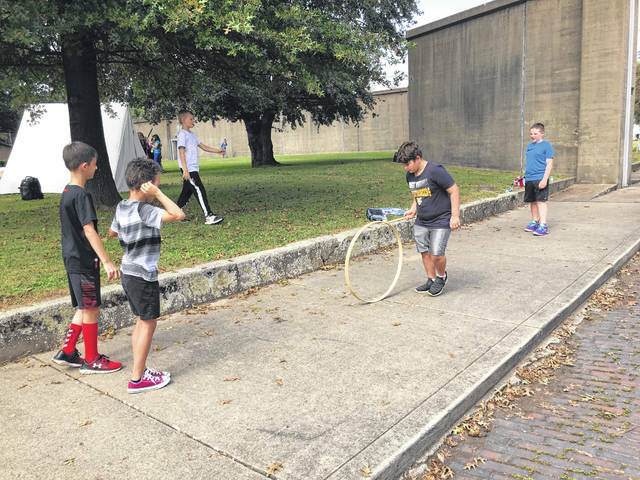 Students were introduced to, as well as were able to play, colonial games. 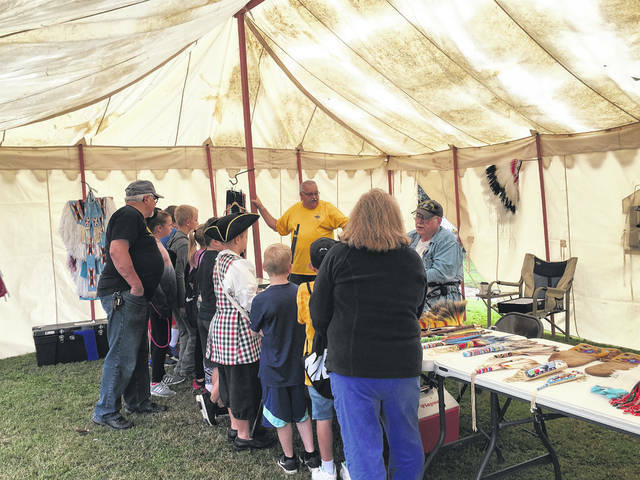 POINT PLEASANT — Students with Mason County Schools were able to browse the grounds of the Battle Days festival on Friday, learning about America’s history. 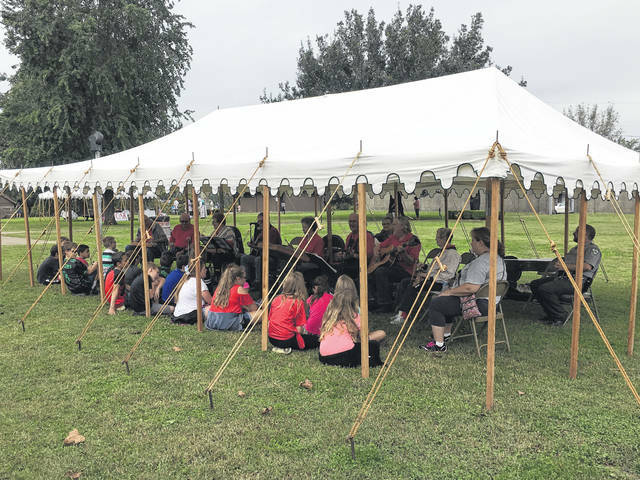 Diana Johnson, a longtime volunteer at the festival, shared the visiting students were able to visit 15 different stations where they got to either participate in an activity or listen to a presentation. 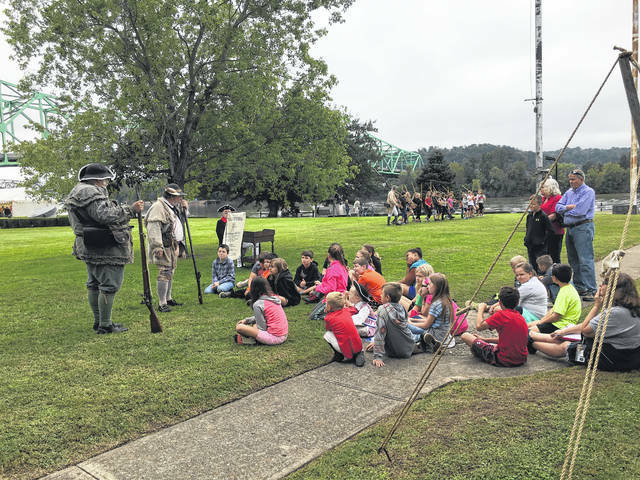 Each group of students had a guide dressed in colonial wear to take them to each destination. Johnson explained students were able to learn about the militia as well as “enlist” in the militia. Also, students were able to practice drills while learning about musketry. 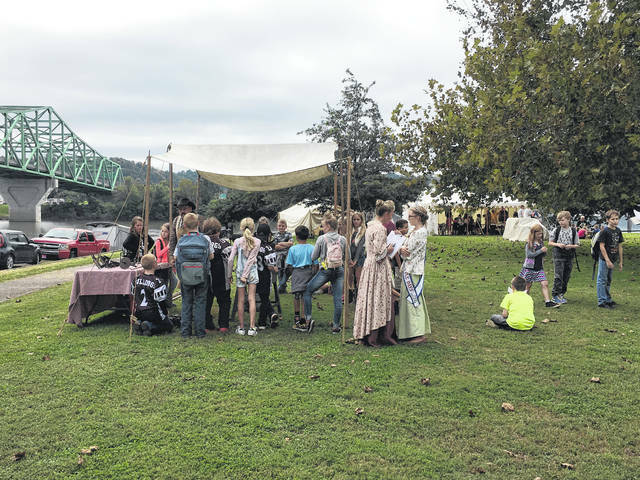 Johnson shared students learned to write with a quill and were given demonstrations of how clothes and other 18th century items were made. 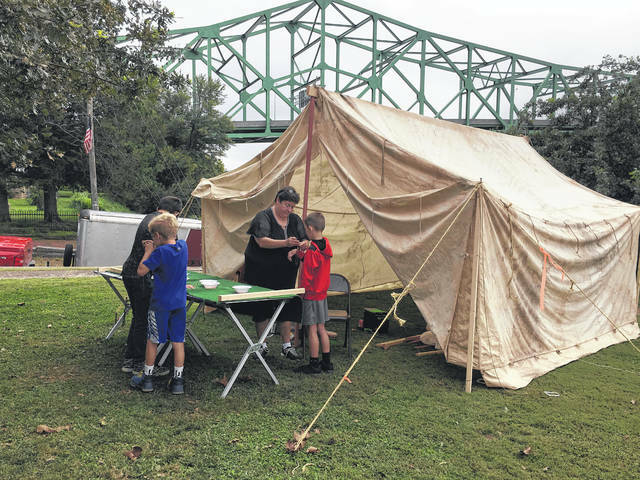 They were able to watch a demonstration of steel work being done and sang along with the dulcimers while they performed. 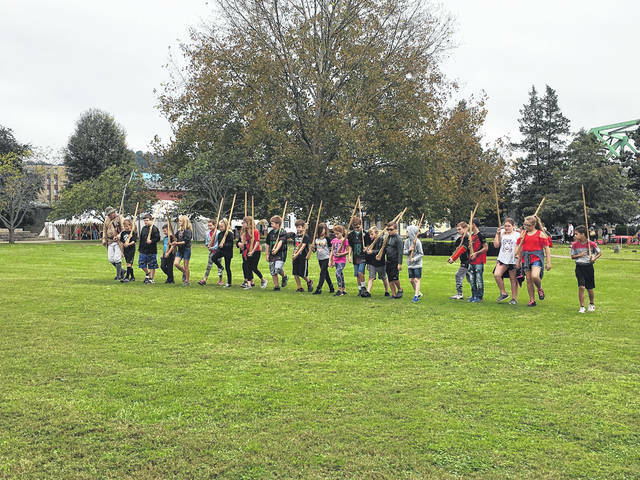 Johnson said the students were introduced to a Kootaga Indian dance and drums were played for them as they danced. The students were able to observe items different Native American tribes would have made during the 18th century and they even got to make their very own beaded items to take home with them. 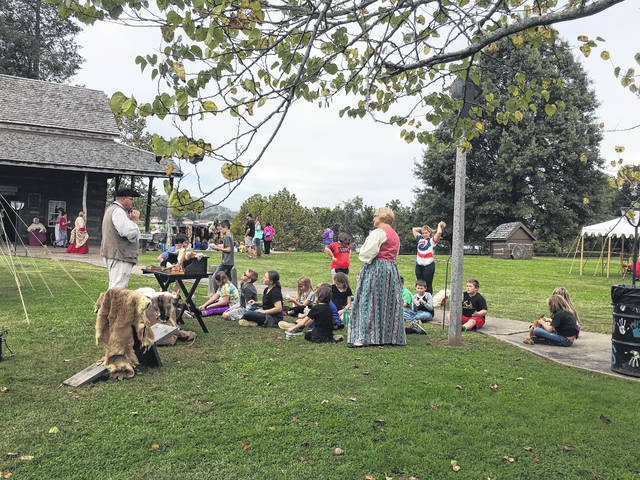 Johnson shared first person presentations were given by Ann Bailey, Chief Cornstalk, and Daniel Boone reenactors. She explained each presenter told the students stories of their characters’ lives. 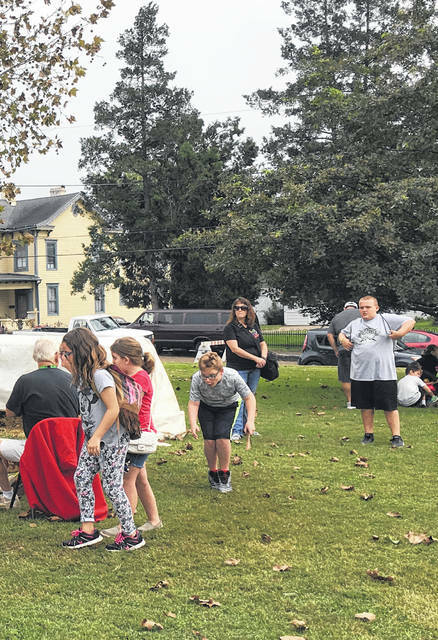 The students played various colonial games during their visit and were able to take a ride on a horsedrawn wagon. 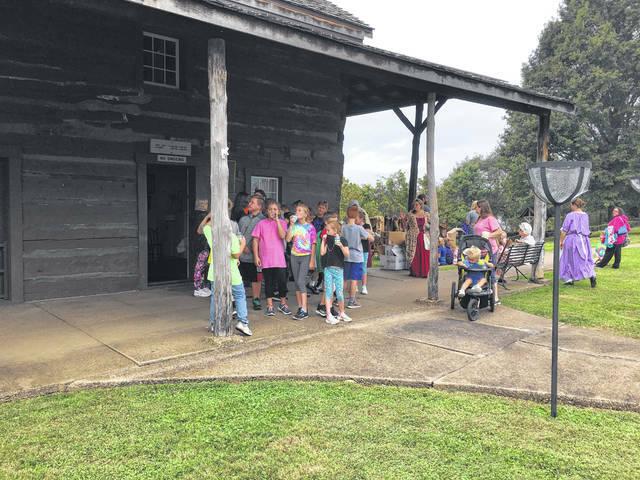 After exploring the festivities on the grounds, the students were also taken inside to explore the Mansion House Museum. 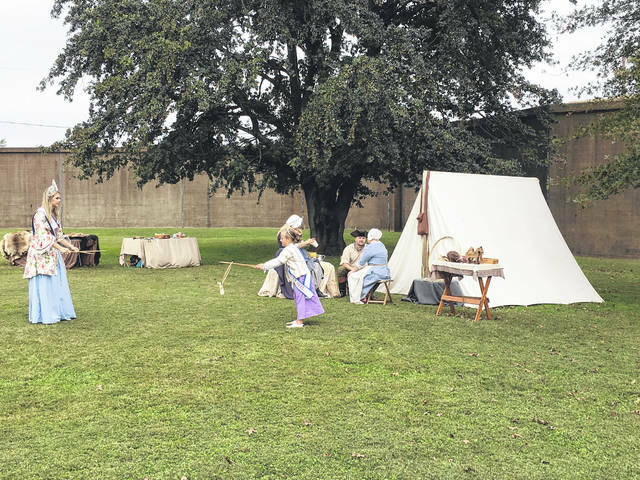 Battle Days continues through the weekend at Tu-Endie-Wei State Park in Point Pleasant.